Home Microsoft Surface Pro Tablet PCs Is Microsoft Surface Pro the Best Tablet Laptop? Is Microsoft Surface Pro the Best Tablet Laptop? Many people are placed with a question that should they buy a Laptop or a Tablet. Now a days the prices of tablets and Laptops are almost on the same range and that's where people are presented with this dilemma. Now Microsoft introduced its latest version of the surface tablet the Surface Pro and I guess this is the device which will be a answering the dilemma. 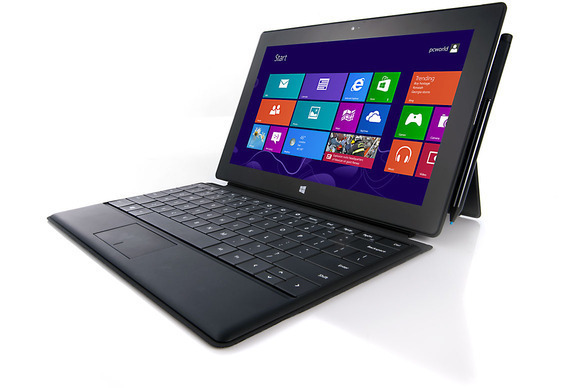 Microsoft Surface tablets even though are classified as tablets but have full capability of working like an actual Laptop. Content creation is the USP of these Tablets and since Microsoft is the most famous PC operating system its ecosystem products like Office and so on are always preferred over other products. I personally used Surface for a little while and I was impressed with its full blown capability to not just view content but also create it quiet easily. Also you don't have to change your mindset that you are actually using a tablet. When you attach a keyboard to the Surface it becomes a full functional portable Laptop. MS Surface Pro is a much more advance version of Surface and is something very close to an actual Laptop. If you are from US and are in this confusion what to choose from I would recommend that go for the Surface Pro if you are not happy you can always return it back, No Questions Asked.